Maui earrings go with everything in your summer-white wardrobe, but they are just the beginning of what this remarkable ensemble has to offer! 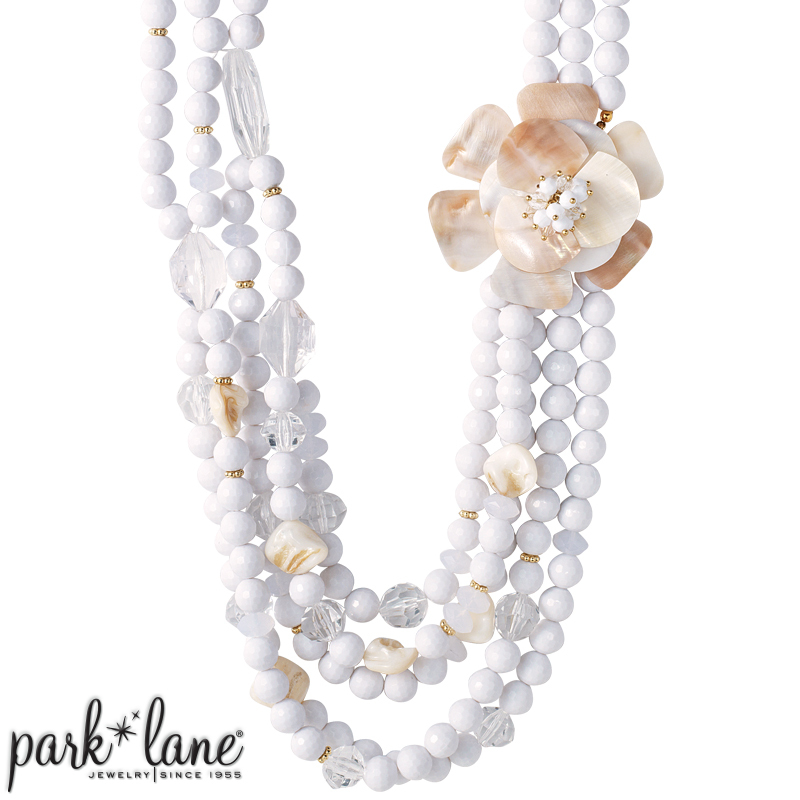 Chalk white, frosted opal, clear acrylic and frosty faceted beads merge to form this spectacular necklace and bracelet. 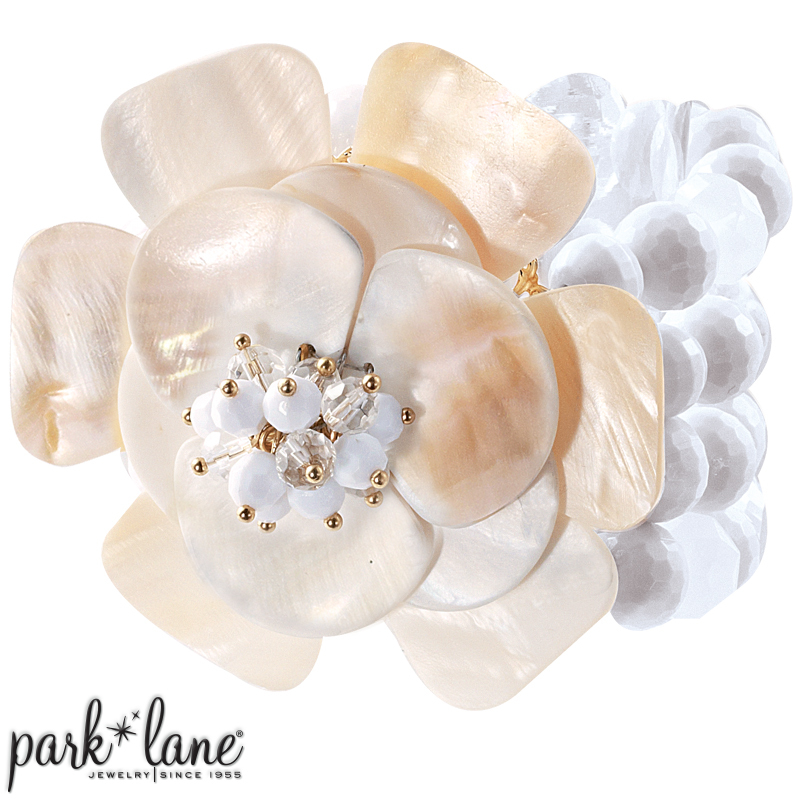 A gigantic gardenia created from genuine seashells is the main attraction. Maui: a real showstopper! Rings: Believe, New Moon, Giselle, Lola, Wear Maui brac w/ Catalina, Vanila Sky, Shimmer ensembles. Wear Maui brac with Costa Rica ensemble.